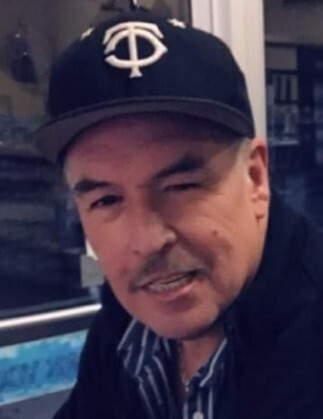 Paul George Person Sr, 55, died unexpectedly on February 11th, 2019 at his home. He was born May 6th, 1963 in Mahnomen, son of Floyd Person and Vivian (Jackson) Person. Paul was raised in the White Earth area by Vernon and Rose (Mom) Weaver. Paul attended White Earth Elementary and then Waubun High School. Paul lived in the White Earth most of his life where he met Pamela Blakely and had four children before moving to Park Rapids for a short time. He worked at Ojibwa wood mill products in Ogema, the casino in Mahnomen and as a mover for Lake Park Furniture. Before he became self employed as a mechanic. Paul also loved being outdoors hunting, fishing and working with his hands as he was very proud of the Native American crafts that he made in his later years. Paul had spent many of his later years with his special friend Anna Levy and her children Cassandra Hanks, Austin and Dylan Burnette, they became Paul’s family as well. At the time of Paul’s passing he had eight grandchildren. Peyton, Hailey, Breah (Paul Jr), Richard Jr, Kurtis (Richard Sr), Diggy (Vanessa), Jeremy Jr, Niswi (Jeremy Sr). Survivors: Rose (Mom) Weaver of White Earth MN, Stepsister Amelia “ Bits” (Vernon “Mike”) Bray of White Earth MN, Stepsister Aurelia (Ken) Brown of White Earth MN, Sister Karen Person (Wade Borah) of Ogema MN, Brother Floyd Person (LeAnn) of Mahnomen MN, Brother Richard Person (Krystal Bevins) of White Earth MN, Sister Katherine Person of Minneapolis MN, Son Paul Person Jr of Mahnomen MN, Son Richard Person Sr of Moorhead MN, Daughter Vanessa Person of Detroit Lakes MN, Son Jeremy Person of St Cloud MN and numerous nieces and nephews.